I have come to the point where I need to make a backstop. I am starting to shoot trees down because of the amount if shooting I do. I have my ideas but looking for other suggestions that may be better than mine. Dirt is an obvious choice but what other materials are recommended and structures? 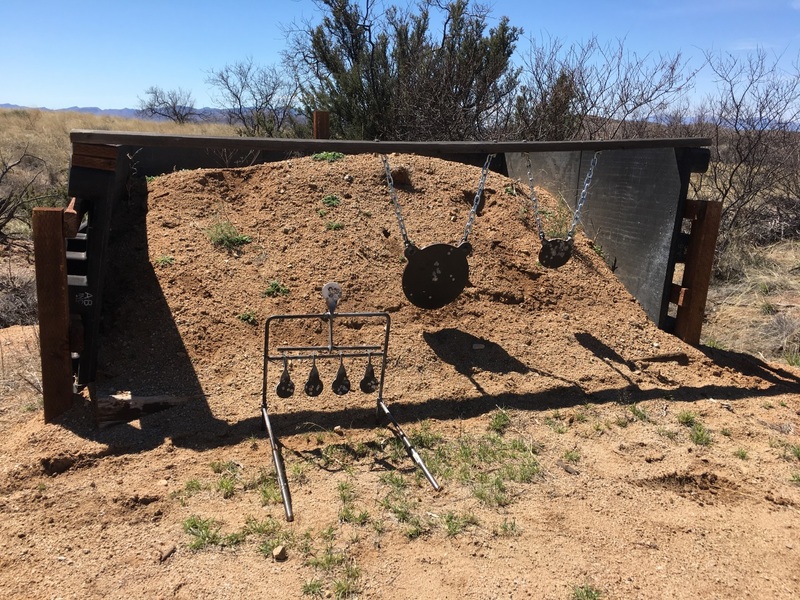 Here are some photos to show my shooting area to give a general idea what I am working with. You can see the trees shot down and shot up in this photo. I built a three-sided crib using plastic pallets and filled it with dirt. The pallets are held in place by 2x4 stringers between 4x4 posts. The crib traps that sloping down of the dirt heap so it takes less dirt to get a good mound. If you have access to old railroad ties, they work well. Bullet trap? Deflects them down into the ground? Seen a few in use over the years. Steel plate with wood or concrete slab to back it up and kill the clang. There are a variety that have been fabricated, small and large. I like the ones that catch the lead for recycling. Last edited by jaia; 03-24-2019 at 05:27 PM. "I built a three-sided crib using plastic pallets and filled it with dirt. The pallets are held in place by 2x4 stringers between 4x4 posts. The crib traps that sloping down of the dirt heap so it takes less dirt to get a good mound." any way to see this? I'll see what else I have in the archives but I posted this one elsewhere a couple of days ago. Shadows and angle make it hard to see the details but gives you an idea, I hope. &#x1f44d;. Good thinking / engineering. 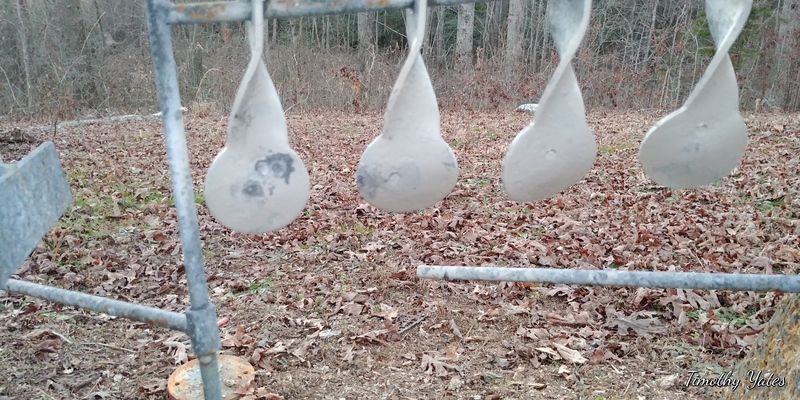 Like how the top stiffener doubles as a hanger for the steel targets. Tell me about your KYL targets, please. 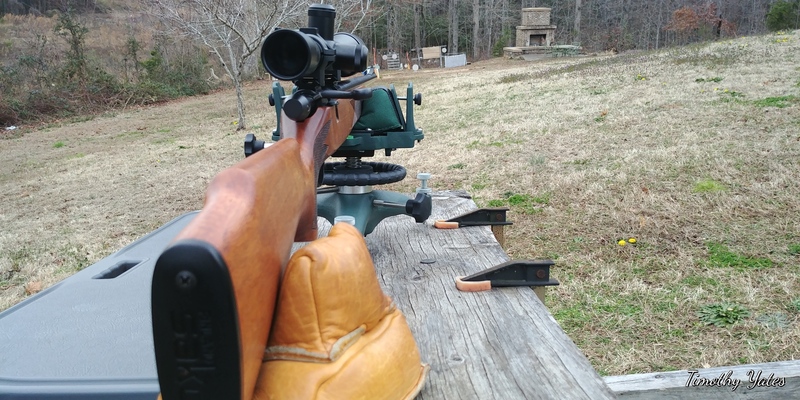 Is that the eight target set that starts at 2 inches? If so, where did you get them? Sure glad I don't live anywhere near you. Talk about irresponsible shooting! How large of an area are you wanting? It looks like your property slopes down hill. Maybe with some tree clearing you'd have a natural back stop on your property? A bull dozer and operator 4 hour minimum around here runs about 400 bucks. Considering all other shooting expense that's not a lot of cash. 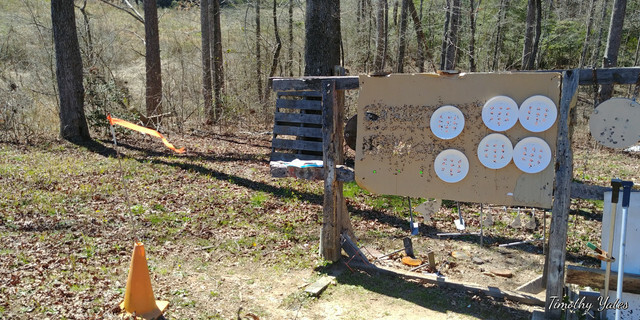 I have a ar500 steel plate I use for a back stop for shooting off the bench. It measures 18x24 I think. 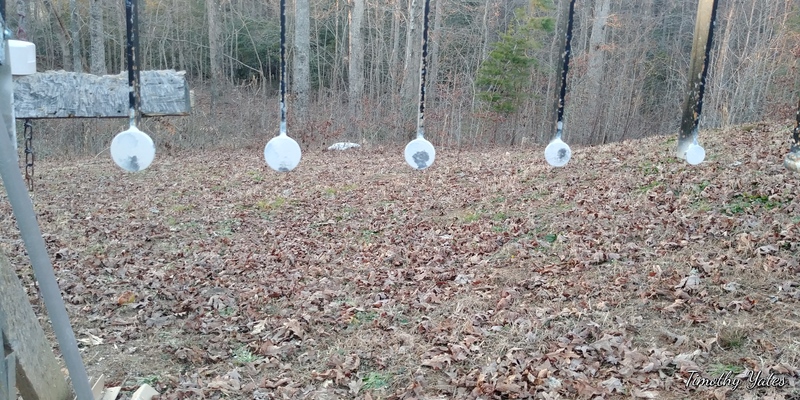 If you put your targets on a stand in front of the steel the splash doesn't tear up your target. What,s this all about?You don,t live anywhere near the guy so how can you make a judgement he,s irresponsible?If your post was meant in jest I apologise in advance. I bought a old 100 gallon fuel tank cut square hole. welded a disc blade in the back to deflect the lead down. it stays in the tank. used conveyer belt makes a good stop for 22s.